Serve as an example to others by wearing the White Ribbon during the week of March 1st and especially on White Ribbon Day, Wednesday, March 1, 2017. Recruit 5 or more friends and colleagues to wear the ribbon on that day. 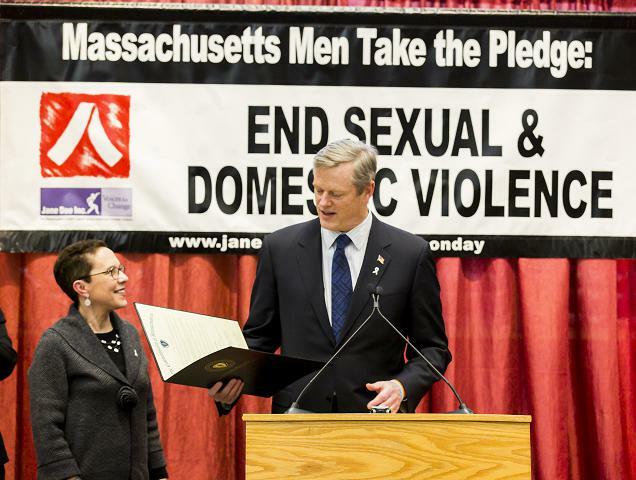 Participate in local proclamation events and other activities to promote Massachusetts White Ribbon Day. Give permission for name to be published in print and web materials. Lend your support by making a personal donation, soliciting their company/organization to make a contribution and finding other ways to speak out. We’ve created tools to help you be a White Ribbon Day Ambassador.